At this time of year we have a sense of being bright eyed and bushy tailed, thankful that last year is over and overflowing with optimism about the promise of the year ahead. In the past we have approached this turn of the new year with resolve. We have surveyed the landscape of our life, and we have taken stock of our work, our relationships, our health, our finances, our lifestyle. This time of year inspires us to reflect, and evaluate, and appraise. But for some strange reason, some of us have used these things to measure the value of our lives … Indeed, we have drawn on these things to rate our very person. We have judged ourselves against an unforgiving, arbitrary standard. We have quantified the contribution we have made, and the progress we have gained so far. Our view during these times can easily become tainted with comparisons which create feelings of inadequacy, insecurity, deficiency, lack. This year is different. This is not the time to figure out how you could do more, be more, have more. There is no goal or performance or achievement that will tell you the thing you need to celebrate most at this time of year. Well, what is worth celebrating then? In this coming year you will survey your life with eyes that nurture the spectacular person that you are. You will appreciate your loving heart, your generous spirit, your undying dedication, your relentless tenacity. You have come so far! You have done yourself proud. You have given your all. Now is the time to celebrate and pat yourself on the back. And as you look forward to the wide blue yonder of 2017, do so with care. It’s time to do away with the rod of denial, perfectionism, regret and disapproval that you have made for your own back. Instead, embrace the possibilities of the new year. Search the depths of your pure, perfect centre. You never know what could happen if you muster up courage to release your power. Oh, imagine the things that could erupt into the life you have today. With so much to leave behind, and so much to look forward to, let’s take a minute all to ourselves. For just a sparkling moment, life is going to be all about you. This is your time of gratitude, reflection, aspiration, vision. Close your eyes and open your heart. Simply inhale a feeling of peaceful hope, contented anticipation, and the certainty of faith. Glimpse into your future. Dare to believe that 2017 is your year to shine. I welcome you with open arms. You are the year I have been preparing for my whole life. To you, I bring all of my skills, experience, insight, hopes, dreams and determination. I offer you all that I am, and everything that I have, in passionate pursuit of my purpose. I wonder how many goals are set at this time of year that should really have been left in the realm of “wishful thinking.” How many people are setting resolutions even now, hoping that this year their dreams really might come true. How many are enjoying the field day of their best intentions, even as I type up this blog? Forbes tells us the shocking fact that only 8% of people who set New Year’s Resolutions actually achieve them. At this time of year we get crazy! We try to conjure up success from nothing. We wistfully dream that this time will be different. This time, the magic wand will work. This is a miserable and defeated way to start the year. Or is it? What if knowing that the odds are against us could actually work for us? This likelihood of failure could be the permission that we need to take all of that pressure off ourselves. We could start this year without wishing that we could be someone different overnight. We might even be able to let go of the idea that we need something else, something more, something new, something different? Perhaps our ambition for this coming year could be to accept how things are, and work from here? Maybe, knowing that we are unlikely to achieve our New Year’s wishes might be just the tip we needed to let us off the hook this time around. Please understand. If you have read any of my writing, or spent even ten minutes with me in the flesh, you will know that I am the Queen of big dreams and crazy ambitions. I live to throw all of my eggs into the one basket of my most daring imaginations. I am a picture of drive and the master of motivation. I am a big thinker, a busy doer – I am an ideas woman who puts her money where her mouth is. But I have solemn convictions. I believe that we should not come at the process of goal setting from a light-hearted, flippant, dare I suggest drunken state of mind. The turn of the New Year does not have a mystical power that makes our wishful thinking suddenly work. The words that you say, and the lofty heights that are set require a serious commitment. I am a believer in the importance of goal setting, but I am mindful of the power of this process. Setting goals is fraught with a couple of specific dangers that must be handled with caution. You see, to set a goal is to establish a standard, and once it is set, it must be reached. This is vital. Because we draw confidence from the goal. Self-esteem. Self worth. Self respect. Our goals are the pivot point of how we see ourselves. If we fall short of the goal, or if we achieve it but then go back to our old ways, we undermine the pivotal trust we need to have in ourselves. Without this trust, we simply cannot be free. We can’t be truly liberated, powerful, passionate people who throw themselves into life with abandon if we know that we are the ones who gave up, or relapsed. The first risk that comes with goals is in the effects of failure. Setting the goal is fine, healthy, productive, powerful. And I admit that I do set my own goals regularly and often. But achieving them is essential. Once the goal is set, there is no looking back. I hesitate before I set any goal. If I achieve it and make the success last, it is a powerful, transformational win. But if I don’t, the goal has done more damage than good. Blowing off the New Year’s resolution all together means that we don’t face the threat of losing our self respect. Let’s leave the goal setting for a time that we can give it the honour it deserves. At this time of year we can all become quite the reflective philosophers. We look around our lives and we consider our progress, significance, worth. We measure the value of our lives, the contribution we have made, and the progress we have gained so far. Our view during these times can easily become tainted with comparisons which create feelings of inadequacy, insecurity, deficiency, lack. This is a dangerous attitude to bring to any season of goal setting. You are not your work. You are not your actions. You are not your achievements or your decisions. Who you are cannot be measured by the things you have done or the goals you have reached. You are more than these things. Your substance is richer, fuller, deeper. You are more than the work of your hands or the striving of your goals. As we welcome the New Year in we bid farewell to the year that has past, and we embrace the year that lies ahead. Let’s do this with care. Let’s set our gaze on the year to come through eyes that embrace our own perfection. Let’s make it our aim to pursue change only from a place of Acceptance. Peace. Security. Wholeness. 2017 I welcome you with open arms. This is the year that I accept I am already enough. I will act on the conviction that everything I need is already within me. With all that I am now, I will dream new dreams, face new challenges, pursue new directions, and follow my deepest passions. I am endlessly empowered and permanently liberated to grow, evolve and change through each new season. I will work hard to bring my best game to the opportunities afforded by each new day. I will be confident that there is nothing more that I need to do, earn or become. Nothing can make me more valuable or worthy than the person I am now. What I am looking for is not out there. It is in me. This quest for ourselves is where freedom starts, because if we are successful in this search, nothing can hold us back from our passions. Knowing how to meet our own intrinsic needs allows us to get on with the business of pursuing our purpose with unfettered passion. When we know who we are, and when we are confident about that person, we run at our mission like a bull at a gate. When we like who we are, and we see ourselves without destructive filters we are more free than the American dream. When we look into the mirror, what do we see? Over the course of my life I have had several experiences of reflecting on my self concept. Each one of these times speaks volumes about how I saw myself at the time. In retrospect I can see that how I perceived myself directly affected the opportunities and outcomes of my life. He didn’t know what to do with my candid response. It silenced the argument. He left. Even though I felt trapped in my family situation, I still stood my ground and owned my feelings and my reaction. I felt trapped in my emotions, but in my response I showed I was free. My next significant mirror moment happened two decades later. I was thirty-three years old, and I was just back from a run. I had been slowly developing my fitness, diligently doing the evening jogs that helped me recover after losing my voice. Those runs were brutal. I was desperately overweight and the isolation of the voice strain injury had left me depressed, anxious, and broken. I saw my reflection in the mirror as I opened the glass shower door. How could this be? I had run for a good half an hour, but I was still the same size as before I left. I felt thinner. With all of those endorphins buzzing and my muscles zinging from the work out, I felt like an olympic athlete. Surely I should look like Beyonce by now? But no. I was still this overweight person whose reality in the world was still pretty far away from the reality I was hoping to create. When I looked in the mirror that evening, I realised that my circumstances provided me with a limited view of the greater picture. The full truth was that I was already healthy and whole in my person, but my circumstances would take time to reflect that. When I looked into the mirror this time, I realised how I see myself on the inside will always become evident on the outside, if I just give it enough time. The last significant mirror moment occurred a couple of years ago, after my husband died. I was getting ready to go to work at the warehouse I used to share with him, and reached across the mirror to the shelf where my perfume lived, only to find that the bottle was just about empty. Now this might seem an ordinary event to you, but for me, it was pivotal. It might seem absurd, but I had never bought perfume before. As the oldest of five in a poor family, this sort of thing was considered an unobtainable luxury. Then, as Alec’s first lady, perfume was always gifted to me for Christmas and birthdays. As I looked in the mirror, I had to decide how I saw myself. Would I see the oldest of five and mother of two who always put the needs of others first, and didn’t indulge in luxuries? Would I see the grieving widow whose greatest fear was that she would never be loved again? Or would I see myself as beloved? Worthy? Connected in belonging? And as I looked into the mirror I realised that the only view that suited me now was to believe that I was beautiful, and only I could give myself the gift of self love. The next time you look in the mirror, take a closer look. Examine behind the reflection. Be transparent with yourself. What do you see? And promise me, that you will keep looking, and keep refining, and keep cleansing, until you see the truth. Because in the mirror is someone who is beautiful on the inside and out, valuable to connect with yourself and others, and worthy of all of the love you can give and receive. You are Infinite. You are everything. And you most certainly are enough. This is it! Today is the day! There are no more sleeps left till Santa comes. It is here! This is the day the world counts down for. If you are in Australia, it is the one day of the year where all the shops are closed, and the streets are quiet. Families and loved ones join together to celebrate life and love. Even if you weren’t brought up in church, Christmas is still a sacred day many of us set aside to splash love around with the people we care most about. For most of us, Christmas is something to look forward to, but there are some of us today that have been dreading this day since the day that our entire life was turned upside-down. I have heard many people say just how bad 2016 was, and how tough it’s been for them to get through. I have had my own years just like that. I know what it’s like to face Christmas after my world changed completely. To be able to muster up any kind of celebratory feeling after the crisis has hit like a tidal wave is a feat that hardly seems worth the effort at all. There have been three Christmases I have faced that were certainly the toughest ones of all, but they each taught me a profound lesson that I have carried into every Christmas since. My first tough Christmas was the Christmas after we had come to the very brink of bankruptcy. We had rolled one business over into another and then a third, but the ebb and flow of our start-up cashflow simply couldn’t keep up with the invoices that followed us each step of the way. Those who knew, our accountant and closest friends, thought we were completely mad at the time. We had been advised to call it quits and face the brutal reality that our businesses hadn’t worked. We were told that there was no way out, no other option. But we persisted. We didn’t want the embarrassment of the label, or the shame of leaving our creditors high and dry, or the opportunities of the future to close if we shut up shop. So we kept going. Even though we finally managed to pay all of the debt back over a decade later, we made it. But on that first Christmas, we felt the pinch like a green ant bite. It stung hard. Our Christmas tree hosted a few odd gifts, and the dining table was laid out with some special treats. But more than anything else, this day slapped us hard in the face with the fact that we simply couldn’t afford our usual fanfare. It was a shameful, empty feeling that threatened to swallow our joy and our pride. But that Christmas taught me to be grateful. We still had our kids and our health and modest celebrations that highlighted just how truly blessed we were, every single day of our life. If you have your back against the financial wall this Christmas, look around. There is so much more in your life than the emptiness of your bank balance. The best things in life really are free. I celebrated my second tough Christmas for the most part in silence, because it was the year after I lost my voice. This had been another gruelling year, but the challenges this time had bowled me over psychologically. Initial anger and resentment towards the voice strain injury quickly developed into depression and then further into an anxiety sickness called an adjustment disorder. The isolation of the silence, combined with the darkness of the depression, and the panic of the anxiety disorder to create a highly stressful, teary Christmas. It would be another year before I saw my way clear of this awful sickness, so on this Christmas I was up to my neck in mental illness. But that Christmas taught me to be hopeful. I had started jogging by this time and had cut my drinking back enormously. I wanted the day to be spectacular. The laughter of my children, the delight of them opening their gifts, the indulgence of the food, and the love of my husband filtered through the cloudy state I was in, and I saw glistening sparkles of hope that shone through in flashing moments of beauty. If you are depressed today, have hope. Time passes and things change. It won’t be like this forever. My last horrible Christmas was the one after losing my husband Alec. My usual excitement and child-like anticipation of Christmas was replaced that year with dread. I didn’t want to face the void that had been left in place of Alec, and I wasn’t sure if I could handle any more overwhelming feelings of grief. The emotion I was most imprisoned by though, was guilt. Even on the days I was able to muster up a smile or momentary happiness, this positivity was quickly swallowed up in self-loathing disbelief that I could ever let Alec go. On that Christmas morning my 19yr old Zac sat beside 17yr old Isabelle in stoney silence. None of us knew how to be or what to say. Yes, there were gifts to open, and breakfast traditions that should have seen us through, but all of it felt wrong. It would never be the same again. Even though we had made it to the lounge room and tried to take up our usual positions, we had hit a road block. Alec had always played the Santa role, distributing gifts and making lame Dad jokes that inspired smiling groans every time. We had no Santa now, and we didn’t know what to do with ourselves. We just cried. Eventually I asked Zac if he wanted to hand out the gifts. He reluctantly took up the offer, allowing us all to take our first steps towards redefining what Christmas is to us now, in this new normal. On that Christmas, we blindly pushed through to work out the new pathways through this day. That Christmas two years ago taught me new meanings of love. We all loved each other through the loss, and loved our way towards blending old traditions with new. If this Christmas is the first Christmas you have to face without your loved one, please know that you will make it through with the power of the love in your heart. The sadness and devastation of the loss are markers of the deepest love you have ever known. Although that grief feels insurmountable, there is beauty in it, because it is a flag that waves a signal of that love. To feel this pain of loss is to know that you have loved in purity. This love itself is a stunning wonder. Take the depth of the loss and use it as a reminder of the capacity you have for love. And share this love around with your people. This love is the very meaning of Christmas. I have been asked a few times lately about how I managed to turn my business around after losing Alec, my best friend, husband and business partner. I spend most of my time these days sharing with people to inspire them towards their own freedom, and helping them work out strategic steps to create their own progress. I can offer this support to others only because of the steps I have taken towards growth in my own life. In my previous blog I shared how I worked hard to invest in systems to transform our business processes. I also talked about how my success in this major business overhaul relied on me accepting the support of others, who helped to conduct a massive physical clean up of my warehouse. This project took time, money, and above all else, faith in the skills I already had. The clean up saw me purchasing new warehouse equipment and resources to implement the locations system and house our stock properly. The new fixtures and fittings cleaned up the craziness that our warehouse had become. We transformed the chaos into clarity with new shelving, hooks, tubs and a labelling machine (my personal favourite). We sorted all of the stock that had been bundled in together into clean and tidy sections of their own: vacuum bags, hoses, filters, wheels and floor tools all enjoyed their own special spot. Eventually, this allowed us to perform our first ever stocktake, which we finally did in October-November. 1. We put old/broken stock that was worthless straight to the garbage. Two skips worth of stock that was really just rubbish. 2. We put stock that was already listed and available on my website into new locations that made sense. 3. We made literally hundreds of new listings to sell the unlisted stock we found. This turned into an avenue of cashflow that only cost me the time it took to create the listings. This was not cheap for me personally, and it took its toll on my well-being eventually, but at least it didn’t cost me any money. I am so grateful for my teaching experience. Training the random team of people that put up their hand to get me through was a task that I had the skills for. A central part of the restructure was the creation of manuals for every single procedure we used in the business. These manuals documented everything from receiving of stock to order fulfilment to the creation of new listings to the production of photos to the answering of phones to troubleshooting website glitches. There was not one single part of the business that wasn’t written down, and to this day the new owners still use those manuals. It was a mammoth task but it was essential for me to support the training of staff as they came and went, and to turn the business into something that other people could run. With all of my heart I am convinced that every single obstacle in our life can be used to accelerate growth. We can possess a freedom that is truly unstoppable only when we use everything we have to pursue that growth. This means starting every day with an outrageously optimistic outlook that sees the world as providing unique opportunities for us, in all things … in all ways. When we realise that our choices can direct everything we have towards outcomes we define for ourselves, nothing can hold us back. They say it takes money to make money, but when you find your cashflow choking on debt, it is difficult to see any expenditure as an investment. I did divert some of the business revenue towards financial recovery, but every cent was put towards the development of infrastructure. My husband was a lover of sales and chaser of transactions, but a systems man, he was not! Our work was a nightmare and life had already been chaotic, even while he was still alive. I had to change everything. 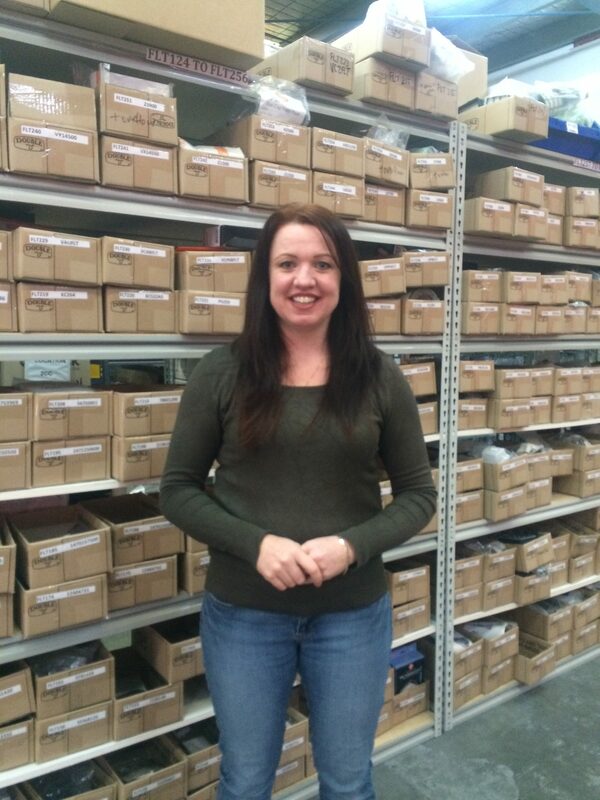 One of the key things that needed to change was the management of our stock levels and order fulfilment processes. We had grown this business literally from scratch in our suburban garage years earlier, and still relied heavily on manual systems in our warehouse. This had always cost us a lot because the way we worked created confusion, and left room for error, and wasted a lot of precious time. Until now, we had always just put up with it. Necessity is the mother of invention. I was desperate to fix the unworkable situation I faced. So I took a deep breath and said goodbye to our old ways. 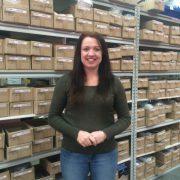 Then I purchased and worked with my developer to install a new warehousing and inventory software. The software told me how to make better choices about how much stock I ordered from suppliers, and at what time. It also gave us the tool we needed to implement a locations system in our warehouse. With this new technology I bought only the stock I needed, and I didn’t lose track of it when it arrived. The benefits were great, but the set up was harrowing. Installing this system was a nightmare that started with website crashes and continued with the stress that comes from trying to learn something new. This is always challenging, but this particular learning phase was made even more difficult because the software creators were in France and offered no support whatsoever. The manual for the software was in dodgy broken English and relied on the user being familiar with inventory management concepts in the first place. It was a terrifying season to endure. When you feel like your ‘strategic steps’ have broken your website, and when you are trying to figure out how to use a warehouse system that actually hides stock and quantities from you because it isn’t working properly, the adversity feels like it is triumphing over you. With help from my warehouse assistant for the first few weeks, and the support of a couple of different website developers as well, things eventually started to settle down. Now it all runs as clean as a whistle. This phase of my life rebuild would make a great montage scene. After losing Alec, and then my two remaining team members, I was left sorely needing help to get this warehouse up to scratch. My two sisters travelled from interstate to help me, and my son Zac, who was 19 at the time also pitched in. I also managed to recruit the help of other friends, and friends of friends, to get the job done. Their support was largely random and unpredictable, but it was better than nothing. This craziness was like compiling a patchwork quilt, stitching together everything you can find to create something new. I am always grateful for the obstacles that come up because they accelerate my growth. Challenges push me through cycles of development that I need to prepare for the next unexpected twist that life will inevitably throw at me. This is not to say that I look forward to the next hardship. Rather, I am filled with optimism when they come. We learn how to triumph over adversity by triumphing over adversity. I love to fly. It is a fun adventure that never gets old for me. To set out on a journey that takes me away from my ordinary every day to somewhere different is one of the things I enjoy most in life. Even now as I type up this blog I am sitting on a plane that is whisking me off to Sydney. I will be catching up with a couple of girlfriends to make a promotional video for a conference we are planning for next year. Every part of this escapade is just wonderful. Flying Is Exhilarating. There is so much to love. Flying puts people into a few different categories. Some loathe flying. It makes them scared and anxious. To defy the laws of nature this way creates an uneasy feeling that is best dulled with a glass of red. For others, flying is a chore that is simply time consuming and inconvenient. It is part of a busy, hectic lifestyle that has them jet setting to all manner of places, but this prevents them from the rest and peace they would prefer. I understand both of these points of view, but I don’t share them. I love to fly and I love to share the experience with others like me. I often ask people who enjoy flying about their favourite part of the experience. Is it the in-flight service, or the joy of scoring the window seat? Is it the anticipation of the trip? Is it taking off? Or is it landing that they love more than any other part? Now, while my research is more anecdotal than scientific, I have found that most people tend to like the take-off best. The rush of the accelerating plane and the surge of adrenalin that comes with the huge craft being thrust into the air gives them a buzz like no other. I can understand the attraction to this part of the flight. It is my second favourite bit. My best bit though, is landing. Even before I leave the terminal to commence the flight, I am looking forward to the plane touching down at the other end. It is fabulous to reach the destination you have been preparing for all of that time, and to be able to stretch your legs then step out into an entirely different part of the world. But it is the experience of landing itself that has me like a kid in a candy shop. When I hear the captain’s announcement that the descent is about to begin I literally feel my heart beat a little harder and a little faster, and my breath quicken in excitement. Sometimes my eyes actually well up with tears. When I hear the grinding mechanics of the wheels being readied for touchdown, and feel that drop as the captain lowers us all down, the butterflies flutter and dance their way through the party they have started in my tummy. As the plane leaves the skies and quickly brings the tarmac closer, I am transfixed. I am spell bound by every sensational part of the landing. To see the skies part and present the view of the land as it draws near is incredible. To feel my ears pop as they adjust to the rapidly changing air-pressure is a welcome adjustment. As the brakes are applied, surging momentum is introduced to mighty resistance, and I am in awe of the physics of this marvellous phenomenon. To become aware of the speed at which we have been flying is mind-blowing. To have the plane’s momentum lurch my entire body forward in my seat is thrilling. To experience the plane coming to such a sudden, forceful stop is breath-takingly powerful. That stop is so abrupt. So final. So complete. So real. I feel like this every time. Every. Single. Time. Landing a plane at the end of your journey is a lot like bringing an undesirable part of your life to a close. By the time you reach the change moment, those unwanted things have gained extraordinary momentum. They have propelled you forward to new places in your life, and they have been hurtling you through time and space with force that seems unstoppable. To stop a plane that has been flying through the air at break-neck speed is one thing. To stop a part of your life that has been propelling you along right up to this very moment is another thing entirely. This stop relies on more than just the operation of mechanics. It doesn’t only depend on the application of natural laws that never change. This stop relies on you persisting in steely focus and determination. This thing ain’t gonna happen straight away. When the plane’s speed meets the brakes’ resistance it doesn’t stop immediately. It can’t. The force that has been propelling that plane forward needs to be slowed before it can stop completely. Landing the plane requires the pilot to initiate landing procedures that only work in a sequence, over time, with consistent, unfailing force. The power that can be exerted by old ways of thinking and living can be countered, but it should not be underestimated. Like stopping a plane, the influences of the past can be slowed, and will eventually come to a complete stop. But this will only happen if the brakes are applied for the duration. For us to make it through this season of change and rebuilding, we must have realistic expectations and appreciate that this thing can’t be done overnight. In fact, it is unlikely to be finished this week or even this month. As we rise to yet another day of hard labour, remember that it is only when we apply the brakes with powerful, ongoing force that we can slow the plane down and bring it in for a safe landing. This takes time. It takes effort. And it takes a commitment to perseverance, right through exhaustion, distractions, and even failure. We must counter the momentum of well-established life patterns with commitment that is greater, more enduring, longer lasting. To persist against the previously established momentum is the only way to create change that lasts. It is always my pleasure to speak about Unstoppable Freedom. I love teaching people how to find and follow their passion, and to show them that they already have everything that they need to transform the landscape of their lives into something that reflects their innate purpose. When I share with my audiences, I remind them that my words will not make them free if they hear them, or even know them. Unstoppable Freedom only comes when we act. Each of us want to connect. To love and be loved is our life’s highest calling. In our daily lives we are on a constant quest, searching for the place that we fit best. When we meet someone new, we conduct the obligatory “get-to-know-you chat.” We ask about them and tell stories about ourselves, and we begin to create a profile of who this new person is. What are they about? Where do they come from? What are they like? Where are they headed? Now I am passionate in my love of humans and humanity. Give me all things ‘People’ and I am a happy camper. But even from this perspective, I do not necessarily see the human race through rose coloured glasses. Seriously, if you are going to really love humans, the only way to do this is warts and all. At the end of the day, our deep desire to connect may not always be about the high calling to selflessness, altruism and unconditional love. If we are brutally honest, we must admit that our own gain is one of our strongest motivators. Most, if not all, of our life choices are driven by the universal question: What’s in it for me? This is true when we are connecting with people. Old friends, new friends, old enemies, new enemies. It’s all the same. Our relationships only work if we know exactly what we get out of what we put in. And what do we want more than anything else? To be valued. To be seen as significant. To be accepted and appreciated. When we connect with people, we are on the lookout for evidence that we matter. When we have those “get-to-know-you conversations”, we are really just doing yet another round of the same thing. We are investigating how they are like us. We are looking for ourselves. As you read my highlights, you are looking for your own. Think back to the last time you watched a movie, read a book, chatted with a friend, worked on a project … in everything we look for ourselves. We search for our person. We endlessly seek acknowledgement of our identity. The wistful romance of this fairy tale question resonates in all of us, because we have all asked ourselves a version of this question. We all want to be certain that we are beautiful, worthy, successful, accepted, happy. Too often, we act like the Queen who asked that question of the Mirror. We become insecure and threatened by those around us, as if the beauty of others has any impact at all on our own. She looked into a place that should have reflected her own perfect image. In reality, as the story goes, she was truly beautiful. But something went wrong … the way she saw her own beauty made it not enough. She was vain, but not content with who she actually was. She wasn’t satisfied with her beauty, so the reflection she saw in the mirror was marred by her own doubts, fear, insecurities, hurts, offence, worries. I wonder about that day when the mirror told the Queen that it was Snow White who was the most beautiful … was this the day that the Queen’s downtrodden view of herself finally got the better of her? The mirror couldn’t tell the Queen that she was the fairest of them all, because the reflection of a mirror can only show us what we are able to see. The Queen’s shortcomings allowed her to believe that her own beauty was not enough. So the mirror couldn’t tell her any different. I wonder if Snow White really was the fairest of them all? Or was she simply the one who innocently accepted her own beauty, without question, shame or guilt. The mirror could tell the story of Snow White’s beauty, simply because Snow White accepted this as being true. I believe that unpredictable adversity is one of the only things we can count on in life. Even though we can never know how or when the next trial will come, we can be assured that it will. Instead of avoiding unexpected hardships I value them in all their forms, because they offer unique opportunities for refinement. Our journey is the inheritance we give ourselves. The finance side of things is something that I rarely speak about. With my working class background, and the divisive nature of the money topic, I tend to steer well clear of these conversations. But recently, someone asked me about how I recovered the business I shared with Alec. In sharing with them I realised just how powerful the story is to illustrate what I have learned about driving all of my resources towards the fulfilment of my passion. The passion we have for our vision is our greatest asset. I knew within a day of losing Alec that I would write a book and develop an inspiring message to help people transform changes that leave them gutted. My brand new vision was born fast, and it grew in clarity over the first few months. My passion for this vision was my greatest asset. When Alec died, he left me in lots of debt. It was so big that he had not been able to clear it for over a decade. For years every overdue account simply rolled into the next, multiplying and gaining momentum as they went, like a gigantic green snowball. It was the story of our lives and it was awful. For years I was unaware of the depths of the dark whole we were in, but in working more closely with Alec since 2013, I came to know exactly how much we owed. I kept the records in my handwritten diary which functioned as my day-to-day budget book. On May 30, 2014, two days after Alec died, I owed $49,474.99 to suppliers and contractors. This was equal to about six week’s worth of supplier invoices. Picture the proverbial deer in headlights. It was change fast or go bankrupt. I had to accept being widowed, but I refused bankruptcy with everything in me. Luxuries like take away food, clothing, and entertainment were instantly out of the question. I cut my grocery bill back to less than half of what I used to spend. I barely ate for the first few months, and I only wanted simple foods anyway. This was not a hardship for me. I was in mourning and living in shock, and then its afterglow, for months. I didn’t want to feel good. The problem was in our business accounts, not our personal funds, although if you have ever been in a small business you know that the two go hand in hand. We were certainly not flush with personal cash, but the financial suffocation was coming from overdue work invoices that couldn’t be paid. I got to work immediately. My warehouse power bill was reduced immediately, because I didn’t use the heater once that winter. The money I spent stock was slashed dramatically, because I ran most product lines down to zero. The only exception to this was in our top ten sellers, which I continued to buy in larger quantities to obtain bulk-buy discounts. Even these orders though were for the smallest quantities offered by my suppliers. I simply couldn’t bear to buy stock I wasn’t actually selling. This resulted in delays with filling customer orders. After a few months, about 85% of our paid orders went onto back order while we waited for stock to come. This brought its own stresses of customer complaints and challenges with managing the receipt of stock and dispatch of orders, but there was no other way if I was going to redirect the cashflow. Receiving supplier deliveries often turned into a dispatch bonanza, where the stock that came in never even touched our warehouse shelves. I also decided to stop offering international shipping, which reduced my account fees with Australia Post. While this was a choice that saved me some money, this was more about saving time, and ending the headaches that come with trying to serve customers overseas. Supplying orders that were often lost or held up in customs was absurd. I needed to pay wages of course, but this expense fluctuated as my staffing shifted. My English-born warehouse assistant left about six weeks after Alec passed away because his work Visa expired. My warehouse manager had been Alec’s best friend for about twenty years and he was gutted by the loss. He had an overseas holiday book and paid for in June, so after a couple of weeks without Alec, he took that five week trip. The man who came back from that holiday was empty and in deep despair. It was only a few months later that he too left to embark on the next part of his own journey. The cash I saved on wages was by necessity only. I would have gladly paid staff to help. In all of it, I worked damned hard to hold things together, because my vision was greater than my circumstance. I worked at least eighty hours every week, encouraging myself daily with the belief that persistence always equals progress. Above all else, I learned to live in the moment. I pursued my vision by fanning the flame of my passion. I reminded myself constantly that there is no one day that I ever arrive, nor any day that I come completely undone. I persisted and I restructured, and on December 1, 2015, I sold the business that I had made into my own inheritance. Since then, I have used the profit from the business sale to get started in my new business as a speaker, author and coach. I love the synchronicity of this investment. The hardest work I have ever done launched me into the life of my dreams. I made my own inheritance. For all of us who have been in businesses, the loss leader is a valuable part of the retail industry. For those consumers who are stark raving mad for screaming ads that shout the latest super cheap sales that have you storming your local Westfield in droves, the loss leader is every dream come true. A vacuum cleaner for $49? YES! A pair of the latest shoes from your favourite brand for $29? YES PLEASE! The DVD box set of Gilmore Girls for $39 to celebrate their new season release? I AM IN!! The loss leader only brings benefit when it is transformed into something more profitable. The loss leader gets us going. It sets our heart racing for the retail thrill, our feet running to the local outlet, and our credit cards tap, tap, tapping our way to instant gratification. The loss leader demands fast attention and instant action. It requires a snap, impulse decision where the time that lapses between the advertisement and the purchase is so lightning fast that it could only be seen in the grainy pixels of the security footage in slow-mo. If the loss leader does its job properly, we end up buying the advertised product with the speed of a thousand gazelles. But that is not all. On the way to the must-have product we see other items. Then, as we make our way to the retail altar also known as the counter, we see more. And then we see more again as we stand in line behind five other comrades whose mouths are watering just a tiny bit more than ours. Shiny items. New items. Items that are bigger and better and even more desirable than the insane bargain we already have in our hot little hands. And we imagine owning that extra item too. And we picture ourselves picking it up and giving it a home at our home. And we calculate the saving we have made on the loss leader product. And we justify the additional purchase. And with that, the deed is done. The loss leader purchase is extended. It is transformed into an investment that we were simply destined to have. We are convinced in our hearts that the loss leader brought us to the pathway that was always meant to be. The loss leader only works for the business owner because it transforms the profit lost in that first sale into profit gained from the additional items we buy. if the business was only to sell the loss leader, without turning it into something of worth, the business would not last very long. Sustaining the losses from the sale of the loss leader can only be done for so long. If the loss is not turned into profit, the business would eventually fold. I hope the metaphor is already emerging for you here. Losses offer no profit or gain in themselves. By definition, they leave us empty handed. They bring us nothing. They only detract from our lives. Losses hurt. They cost us something real, tangible, important. Sometimes that price is high. Losses can be expensive. The price can be exorbitant. Operating only in the loss without finding a way to make it profitable is simply unsustainable. I like to think of the losses in my life as functioning like a loss leader. On their own they are costly. They make us pay a price in our time, our emotions, our relationships, our career, our health, sometimes even our sanity. In themselves, losses make our life unsustainable. If all we had was the loss, we would not be able to continue. If we stopped the process of our life at the loss leader, we would all have to shut up shop. But the direct cost of the loss never reflects its greater purpose, and certainly doesn’t highlight its worth. The loss leader works when it is used as the first part of a bigger strategy. It is only when the loss initiates a sequence of attracting profit that its full value is realised. The loss opens opportunities for gain that could not come any other way. Engaging in the loss, feeling its pain, embracing the price tag allows us to accept that it is essential to us. This is the approach we can adopt to maximise the benefits of any loss in our lives. I have put this outlook to work for me through countless seasons of loss over my life. On the days where I feel the sting of the loss, I remind myself that I will find a way to strategically transform the loss to bring gain. When the price of the loss pinches me hard, I encourage myself that this cost can become an investment into a different outcome. In this way, I reframe my concept of loss and see it as an opportunity to invest into a profitable future that I create. I am convinced that the loss actually gives us the chance to make unique, strategic, deliberate gains. The benefits of the loss come when we see it as the fist step in a bigger, more positive sequence. And somewhere amidst this process of transforming loss into gain, I have found that the real magic happens … In reframing my perspective on life, I reframe my concept of myself. I see myself as the loss leader, because I am the one who leads the loss with clarity of purpose and precision focus. I am the captain of the ship and the driver of my destiny. I am the one who transforms every adversity into gain. I am the strategic leader of the loss, and my choices turn the price of the loss into an investment into gain. I am not alone in this. Countless inspirational heroes across cultures and throughout time show us again and again that adversity can lead to triumph. Hardship can give rise to success. The battle can end in victory. So Loss Leaders, onward and upward! The investment will return.